I just realized why it was so hard to find music to post this week. I basically recreated my files (hard drive clean up) and it resent a lot of the songs to have the same "Date Added" so when I sorted I saw older songs on top. Enough with the techno-jargon. 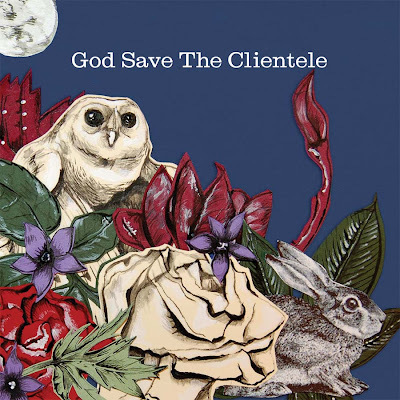 The Clientele. I think what draws me most are the vocals. A little bit Belle and Sebastian-like with singer Alasdair MacLean's breathy vocals and guitars that seem to bounce back and forth. The used slide guitars and pedal steel guitars recording this album. And what's up with owls everywhere? They the hip animal of the season. Interesting to see an album released here before Europe.